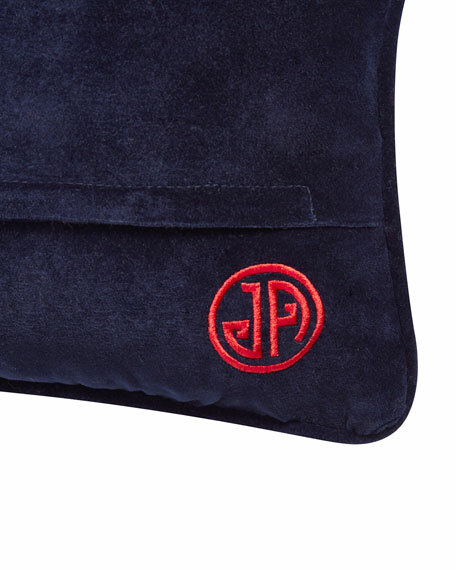 EXCLUSIVELY AT NEIMAN MARCUS Silk diamond pillow. 17"Sq. Knife edge. Zip closure. Feather/down insert. Dry clean. Made in the USA of imported materials. Handcrafted pillow. Rayon/cotton/flax front and polyester nylon back; reverses to solid color. Feather/down fill. Hidden zipper. Spot clean. 24" x 14". Made in the USA. 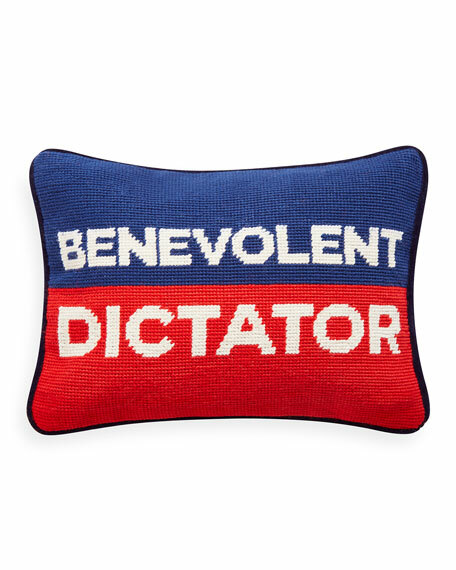 EXCLUSIVELY AT NEIMAN MARCUS Handcrafted pillow. Polyester. Feather fill. 22"Sq. Made in the USA of imported materials.